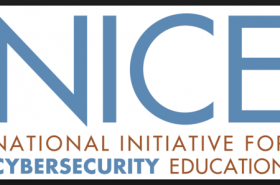 This combined program provides students access to the NIST Cybersecurity Framework (NIST-CSF) and the NICE Cybersecurity Workforce Framework (NICE-CWF) curriculum programs. The NIST Cybersecurity Framework curriculum teaches students how to Engineer & Operationalize a cybersecurity program based on the NIST Cybersecurity Framework. The NICE Cybersecurity Workforce Framework video training programs helps students prepare for IT and Information Security certifications (CISSP, CISA, CISM, Security+, Auditor, Certified Ethical Hacker, RISK Manager etc.) outlined in the NICE Cybersecurity Workforce Framework. This low cost, DxCERTS “All Access” subscription program provides students access to over 250 accredited training programs that will enable them to become certified in the most sought after positions in IT & Cybersecurity. This easy to use training and management program not only helps organizations get the right training to the right person at the right time but also equips the management team (Professors, HR, Learning & Development, Department Managers etc.) with a student management and reporting platform that enables them to ensure a successful, on-time, training outcome for both the student, employer and academic institution.